Note: This book is the second book in a series, following The Immortal Rules. The summary and review may contain spoilers for the first book. The Immortal Rules was one of the books that takes vampires from appealing, lust-inducing creatures back to bloodthirsty creatures. But some have more humanity than others, and it was learning about the characters that made The Immortal Rules so engaging. Once again Julia Kagawa has created a story where pages seem to fly by and surprises wait just around the corner. It's hard to say much about this book without giving anything away, and part of its appeal was its ability to keep me surprised. For most of the book I thought I knew what would happen, but Julie Kagawa managed to thwart many of my expectations. The story really expanded in this book, connecting characters in different ways. As the plot spins out with slow momentum at times, we get to know the characters in new, deeper ways. Kanin had intrigued me in the first book, and I was very glad to see him again in this book. I love mysterious characters, and Kanin fits the role perfectly. Throughout the book, it was interesting to see how vampires could find moments of humanity and humans acted evil at times. There is no shortage of tension and danger in this book, and we learn a lot about the characters seeing how they handle everything. Allison had a different set of struggles in this book than in the last one. With her Hunger mostly under control, she could focus on a different problem - what kind of vampire would she be? And what would she do about her feelings with Zeke? 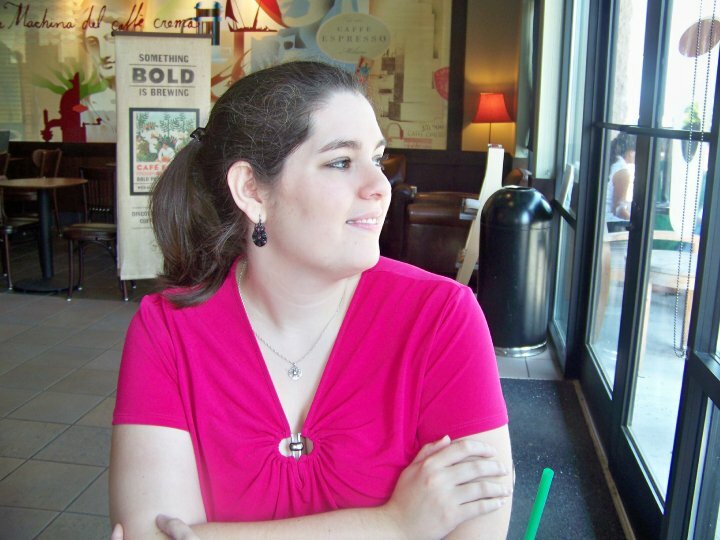 Allie tries to do what she thinks is right, but it isn't always easy. As she tries to discern the right course, she learns more of the history and secrets that were only hinted at in the first book, and it was interesting to put all of the pieces together. Though there are new characters, there are also many that return - often in unexpected ways - and the stage is perfectly set for Allie to finish the journey that she started. 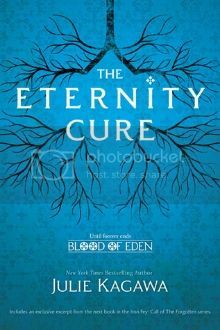 The Eternity Cure is a great sequel to The Immortal Rules, though the ending may be a form of cruel and unusual punishment. I can't wait for the final book in the trilogy to see how everything is resolved! I loved The Immortal Rules and can't wait to read this book! I quite enjoyed this one and thought the evil of humans was on of the more interesting things about this book. Glad to see you enjoyed this!